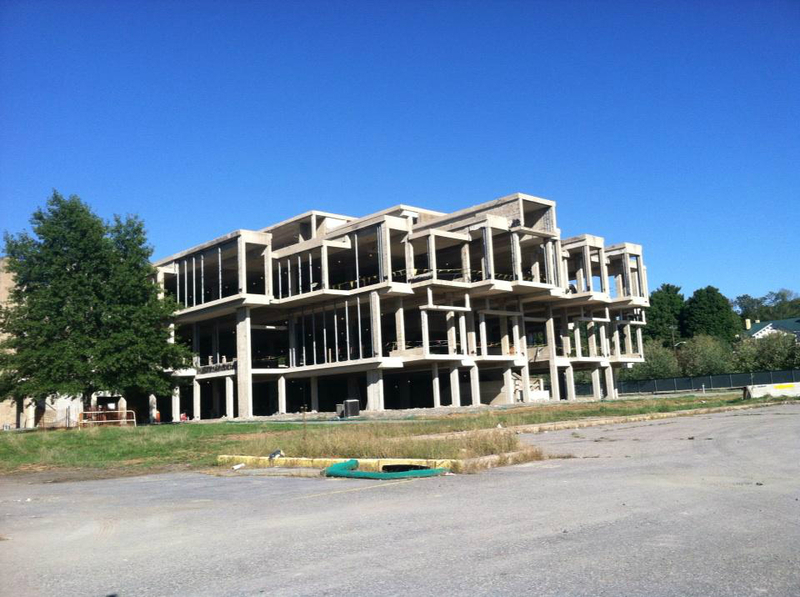 Since early 2016, when images surfaced showing the skeletal condition of Paul Rudolph’s Orange County Government Center, construction has continued at a fast pace in the Village of Goshen, New York to renovate and expand the iconic Brutalist building. 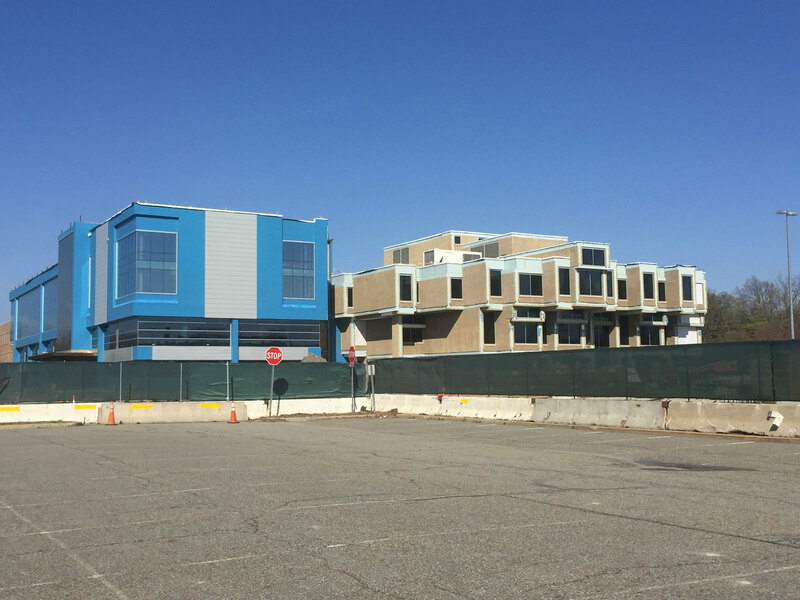 New pictures reveal the scope and scale of the renovations. 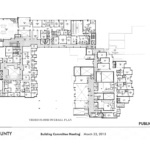 This saga began in 2011 when the municipal occupants vacated the complex citing damages from Hurricane Irene and began the process of planning its remodeling. 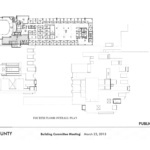 After Boston-based designLAB withdrew its proposal because of ethical concerns over the project’s scope, Rochester, New York–based Clark Patterson Lee took on the renovations. 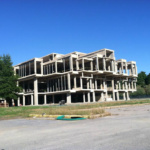 Against the almost united outcry of architects and preservationists, the county government ultimately decided to demolish roughly one-third of the complex and replace it with a new architectural appendage. 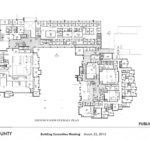 The new wing cuts off access to the central courtyard from the outermost corners of the site and leveled much of the exterior site design, dramatically changing the building’s relationship to the ground. 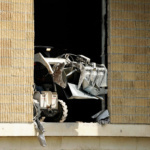 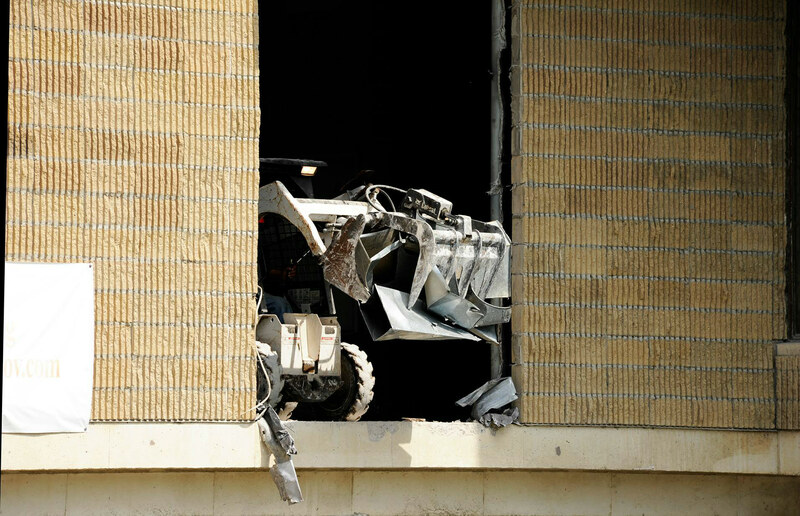 Additionally, the corrugated concrete blocks from the facade were stripped from the reinforced concrete frame and replaced only after the interior walls and windows were gutted. 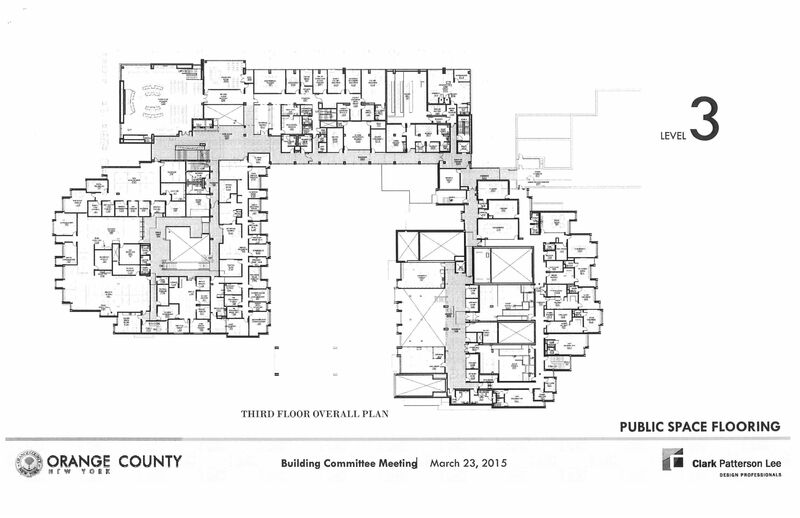 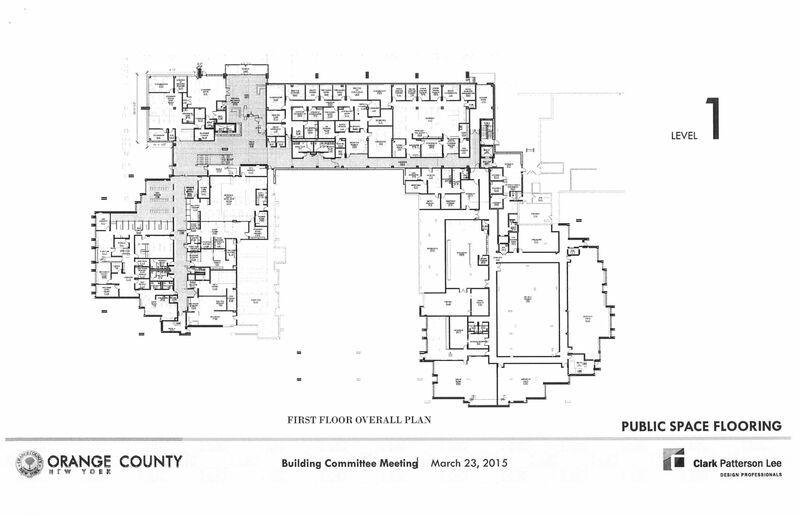 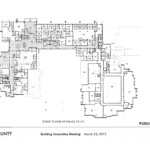 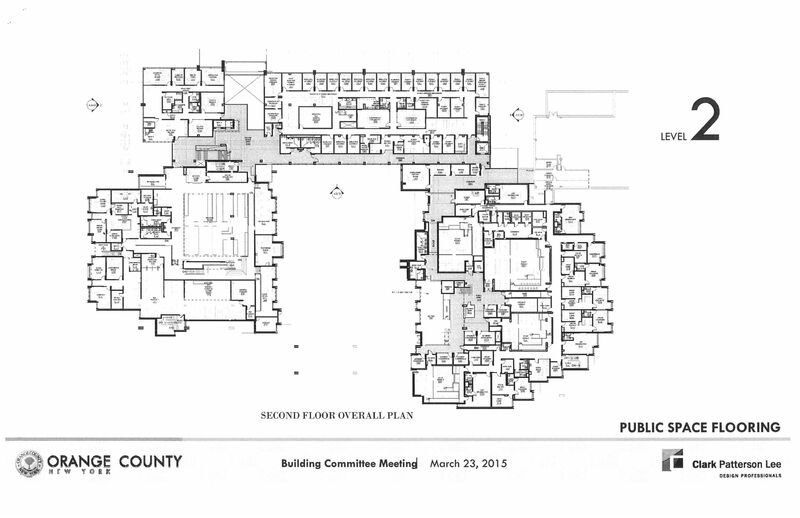 In a meeting with the Orange County Building Committee in March of this year, Clark Patterson Lee presented a full set of floor plans. 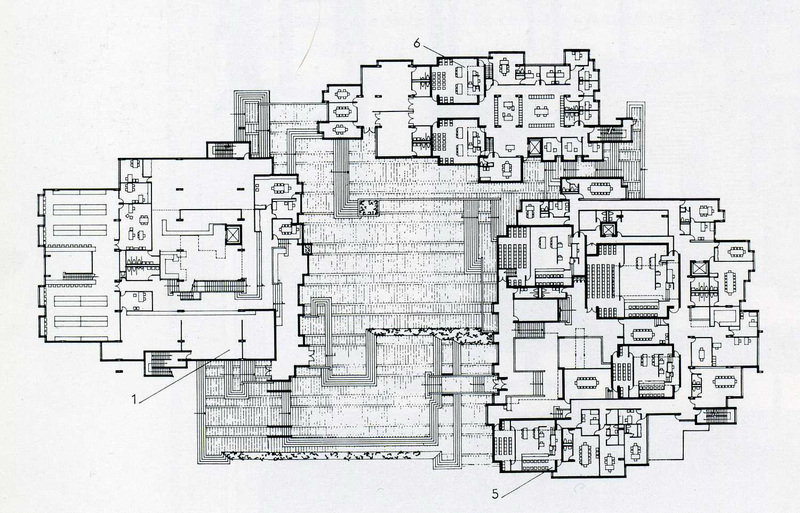 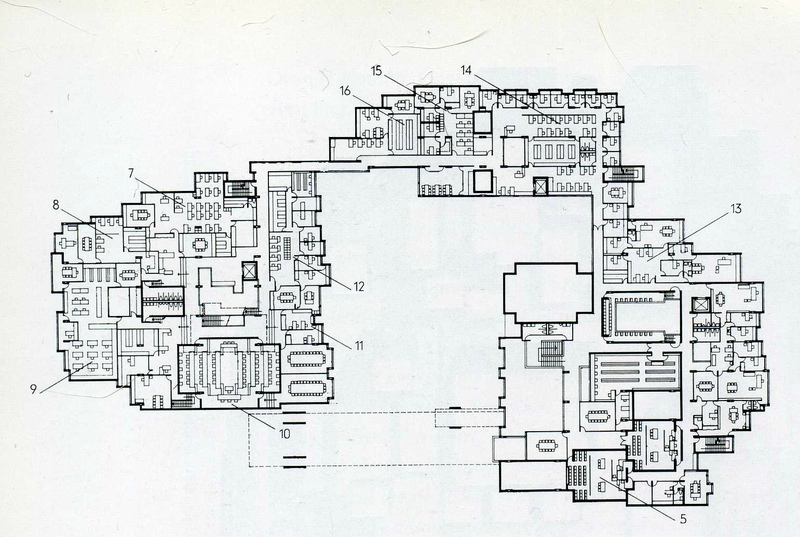 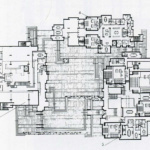 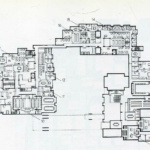 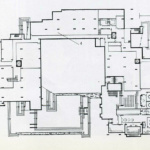 They show an extensive revision of the interior organization of space, favoring conventional double loaded hallways instead of Rudolph’s more organic layout. 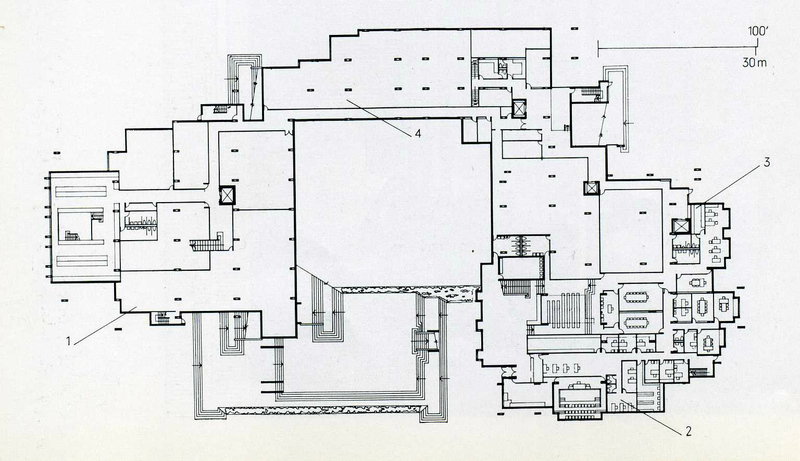 The plans also indicate a subdued sectional profile that eliminates many of the dynamic elevational changes found in Rudolph’s seminal sectional perspective drawing of the building. 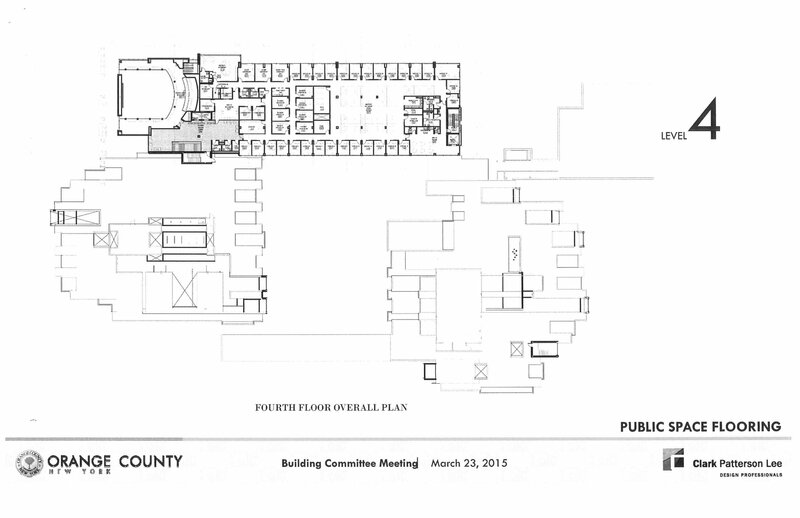 For others though, discontent with the project persists. 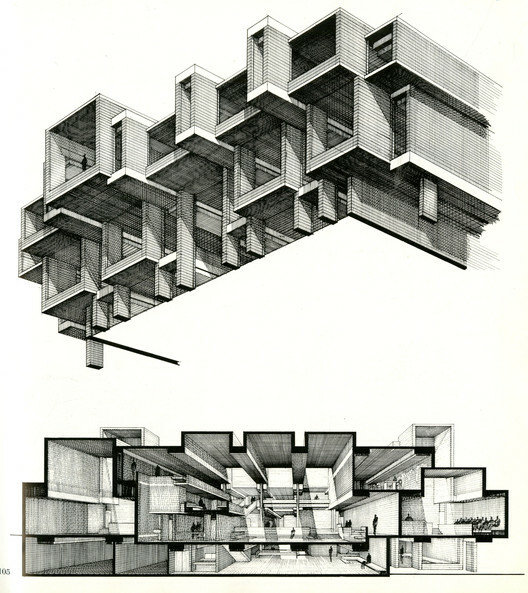 Liz Waytkus, executive director of Docomomo US, a nonprofit dedicated to the preservation of modern architecture, recently visited the site, calling the renovations a “cultural crime.” She also highlighted the precarious future for Rudolph’s other buildings around the country, including Government Civic Center in Boston. 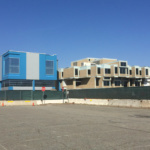 As construction comes to an end, loyal disciples of the Brutalist style may elegize the Orange County Government Center such as Rudolph designed it; however, architects may yet find value in the final building as a cautionary case study for how to strategize future preservation efforts.